He's this really cool poet. Former teacher. Current teacher's advocate. Slam host. Fantastic reader. Funny, too. And he's that rarest of rare things: a poet with an agent! I probably should have stumbled upon Taylor long ago, but it was only months ago that I heard him read a poem on Linebreak, the innovative journal that sends a weekly poem and audio via email and then archives them all. (Go there and sign up for the weekly emails. The poems are consistently excellent as are the readings.) Taylor has one of those lovely deep voices that do such justice to a poem. Then last week, while visiting Sherry Chandler's blog, I came across a wonderful video of Taylor reading a poem at the Bowery Poetry Club in NYC. The poem, "I Could Be a Poet," is a satirical view of the phoniness that sometimes accompanies poets and poetry readings. There's our fondness for black, the little lilt at the end of the line, the hand gestures for audience members who don't understand plain words, the obligatory curse word, and the non-ending ending. Take a look at this. You'll love it. I'm always impressed by poets who can recite by heart. This is a poet who clearly has a heart, a lot of it. Be sure to visit Taylor Mali's website. What a treasure chest you'll find there. This site is a double-must visit for teachers. Go to the page for Poem Videos and look at "Miracle Workers," Taylor's tribute to teachers. At that same page you will find an amazing library of 50 poetry videos. Teachers, if you have students who think they don't like poetry, send them to Taylor's site. If you yourself are uncomfortable with poetry, spend some time there. Go to the Workshops I Teach page where you'll find "A Baker’s Dozen Secrets of Slam: 13 Tips for Performing Poetry in Public." Good for all kinds of poetry, not just slam. Now what I want is to attend a Taylor Mali reading. That's not an impossible dream as he's in NYC and I'm in New Jersey. At the website I opened the Mailing Lists page and found a state by state list. I then signed on to receive information about any readings he might be doing in my area. You can do the same thing. I've already said in a previous post that I like contributors' notes for several reasons. I like to know a bit more about the poets whose work has interested me. If a poet's work has really grabbed me, I might be inclined to buy that poet's book. It helps if that information is available in a note. So including notes can help readers decide which books to buy and help poets get some book sales. That's good for all of us. But while I like to find notes, I don't like all the notes I find. Here's what I like and don't like. Remember, just one person's opinion. 1. I like to find a reasonable number of previous journal credits. I think 3-4 is ideal. More than that starts to look like bragging. Over 5 looks like desperation. Don't do it. I also think it's a bad idea to include forthcoming journal publications. After all, if someone looks at this journal in a year, those forthcoming poems will already have come forth. General rule of thumb: The longer the bio, the less impressive it is. Err on the side of brevity. 2. Now here's my main pet peeve in a note: Bean counting! For me, it's a major turn-off when the poet specifies the exact number of poems he or she has had published in the exact number of journals and anthologies. This is really unattractive, braggadocious, competitive, and amateurish. If you feel inclined to add this information, lie down and don't get up again until the urge passes. Likewise with specifying the number of Pushcart Prize nominations. It's nice to get some of these, but beyond a certain number, you start to look like a loser. Bridesmaid syndrome. 4. I always cringe a bit when I come to fat words like "widely" or "extensively." Err on the side of modesty. 5. I'm vaguely interested in where the poet lives, but I'm not especially interested in who he or she lives with. I do not care one whit about the animals that reside with the poet. Too cute. You've got a chocolate Lab? Nice, but that doesn't affect my response to your poetry. 6. I am interested in any significant prizes won. But don't go overboard here. 8. If the journal allows it, I like to know your website address. I might want to pay you a visit. 9. I don't care where you went to school or what degrees you earned. And I really, really don't want to hear about who you studied with. You may have studied with the late William Matthews, but that does not convince me that you are his equal. Your poems will do that. 10. I also dislike reading that your manuscript, Such and Such, is in search of a publisher. Try Craig's List. Or do what every other poet does, i.e., send the manuscript out to publishers. So those are my likes and dislikes. What are yours? ° Susan Rich at The Alchemist's Kitchen offers all kinds of useful commentary about poetry, poets, poems, and books. She provides some contest information and lots of useful tips on such topics as applying for a writing residency. The blog is named after her forthcoming poetry book which I, for one, am looking forward to. ° Erika Dreifus at Practicing Writing provides all kinds of practical information for the practicing writer: information about paying writing opportunities, conferences, and books, plus great links. At the site you can sign up for Erika's monthly newsletter which offers more information. If you're a teacher, then you know that every once in a while you have a student who you know you will one day be bragging about having had in class. I'm bragging: Erika was once my student in AP English Literature and Composition. She was lovely and brilliant then. She still is. ° Betsy Lerner at The Forest for the Trees offers a wealth of information on publishing, all the more credible as it comes from an experienced writer who has also worked in publishing. Lots of insider stuff. Betsy also takes questions, so if you have something you've been dying to ask someone in the know, this could be the place. ° Sheila Bender at Writing It Real offers a by-subscription magazine for writers (there's a fee for this) and a weekly newsletter (no fee). Both are loaded with writing information as is the blog itself. A nice feature of Sheila's blog is that you can sign on to do a guest blog post. Great blog for both poets and prose writers. 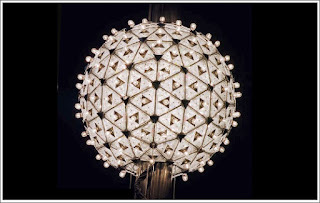 ° Midge Raymond at Remembering English offers this blog as part of her website. At the website you can get information about her prize-winning collection of short stories, Forgetting English. This blog offers all kinds of wonderful writing tips, again coming from someone who is both a writer and an industry insider. One unique feature of this blog is the regular writing exercises offered. Visitors can also sign up for Midge's monthly email newsletter which contains even more riches. ° Lisa Romeo at Lisa Romeo Writes offers lots of tips, exercises, and personal accounts of her own experiences as a memoirist. All kinds of gifts for writers. Her recent interview with Vicki Forman, author of the memoir, This Lovely Life, is itself worth a visit to the blog. Vicki talks at length about her experiences promoting her book. You'll learn a lot. ° Poet Hound offers a good list of suggestions in her post Requesting a Review. This piece does what its title suggests, i.e., it offers tips on how to go about getting a review for your book. 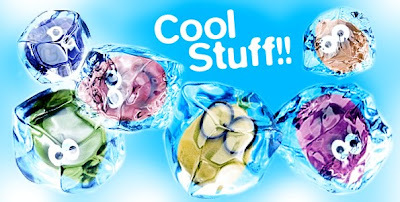 I'd like to add this site to my blogroll, but the blogger does not provide her name. ° Broadsided is the brainchild of poet Elizabeth Bradfield. At this site you will find a lovely fusion between poetry and art. Poems are paired with original art done by artists specifically to pair up with the poems. Calls for submissions are posted at the site. Also, interested people are invited to become vectors, that is, people who will print out each new broadside and post it where people can find it. What a great way to plaster the world with poetry and art. I love anthologies. As a reader of poetry, I enjoy hearing a variety of voices assembled in one place. It's like a choir with each member stepping forward for a solo. As a poet, I appreciate the opportunity to reach a wider audience with a previously published poem. 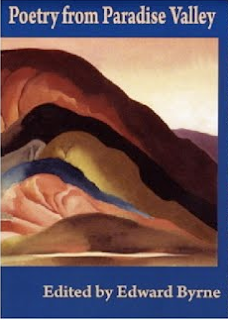 So I am pleased as both a reader and a poet to recommend Poetry from Paradise Valley, edited by Ed Byrne, the editor of the online journal, Valparaiso Poetry Review, one of the first online journals I ever submitted to and still one of my favorites. Having begun the journal ten years ago, Ed decided to do an anniversary collection to celebrate the first decade. Rather than stuff the collection, Ed kept it to a comfortable limit of 50 poems. Here's Ed's own description of the book: "Poetry from Paradise Valley includes a stellar roster of 50 poets. 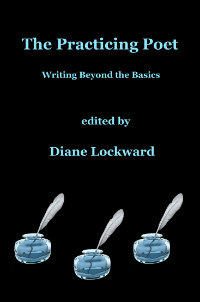 Among the contributors are a former Poet Laureate of the United States, a winner of the Griffin International Prize, two Pulitzer Prize winners, two National Book Award winners, two National Book Critics Circle winners, six finalists for the National Book Award, four finalists for the National Book Critics Circle Award, two finalists for the Pulitzer Prize, and a few dozen recipients of other honors, such as fellowships from the Guggenheim Foundation, the National Endowment for the Arts, etc." I wish I could say that I'd won of the above-mentioned prizes, but alas, no. I am, however, delighted to have my poem, April at the Arboretum, included among the 50 poems selected. The collection can be ordered at Pecan Grove's Ordering Page. You can print out an order form or you can order online using PayPal. The book is very reasonably priced at $15. That's a major bargain for 50 poems. You can also order via Amazon, but the better deal for this book is at the publisher's site. I'm delighted to have Cecilia Woloch for this second The Poet on the Poem feature. Over a year ago I did a Chapbook Spotlight on Cecilia's Narcissus. Since then I have eagerly awaited her latest collection, Carpathia. After reading the collection and loving it, I contacted Cecilia and asked her to participate here. Cecilia Woloch is currently a lecturer in the creative writing program at the University of Southern California. She is also the founding director of The Paris Poetry Workshop. She spends a part of each year traveling, and in recent years has divided her time between Los Angeles, California; Atlanta, Georgia; Shepherdsville, Kentucky; Paris, France; and a small village in the Carpathian mountains of southeastern Poland. 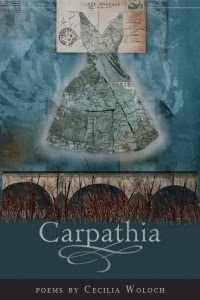 Carpathia, her fifth collection of poetry, was recently released by BOA Editions Ltd. Her previous four award-winning collections include Narcissus, winner of the Tupelo Press 2006 Snowbound Series Chapbook Award. Today's poem comes from Carpathia. DL: Your title strikes me as especially well-chosen. How did you arrive at "Blazon"? CW: This question makes me smile, because I think that I'm very bad at titles and therefore I always just go for the simplest, most obvious and least potentially-embarrassing thing. 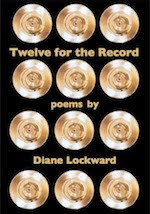 So a lot of my poems have one-word titles, as do all of my books. I always write something at the top of the page when I start to write, and just put that in parentheses, as a kind of working title, and usually I end up just taking the parentheses away and making that the title. So, in some way, the poem comes with its title—maybe the working title is my semi-conscious "intent" when I begin to write, and thus the most apt thing, after all? In this case, I wrote "blazon" at the top of the page because I'd given myself an exercise that I'd given to the writers in my Paris Poetry Workshop, and I usually try to do the exercises I assign. So I'd assigned a blazon—a poem of praise for a beloved, from the French tradition, which is a kind of catalog or list poem enumerating the physical attributes of the beloved and using a metaphor to describe each of those attributes. The poem I used as a model was Andre Breton's blazon, "Free Union," which is full of astounding metaphors like, "My woman with her shoulders of champagne." I stole Breton's anaphora and substituted "my love" for "ma femme," and also used "with" to begin some lines, as Breton does. Then I worked from a list of images I'd compiled, mixing them up in different ways and applying them to particular physical attributes of a particular beloved. So the poem evolved from the title, which was the exercise, and since I couldn't come up with another title after the poem was finished, I left it at that. Another funny thing is that there's a poem in my earlier collection, Late, that's also called "Blazon." Different beloved, different poem. So I can't get too annoyed about Frank O'Hara calling so many of his poems "Poem," though that makes it complicated to find the particular poem I'm looking for when I'm searching the table of contents of his collected poems. DL: I'm intrigued by your use of punctuation in this poem. You use no periods and commas only internally. Tell us why. CW: I went back and forth about this, as I'm notoriously particular about grammar and punctuation. But I felt that, since the anaphora came at the beginning of each line on the page, punctuation wasn't necessary, and seemed to just get in the way of the flow of the poem. I capitalized the first word of each line that begins with the anaphora, and that seemed enough to indicate to the reader that a new item was being added to the list. DL: This poem is structured by anaphora. Lines beginning with "My love" alternate with lines beginning with "With his." Although the lines appear to have spontaneously tumbled out in their current order, I suspect that they didn't. When in your drafting did the anaphora come in? How much rearranging of lines did you do? CW: Well, the first draft of any poem is always fairly spontaneous, for me; but I did a lot of rearranging, in this case. Lines tumbled out and tumbled around, and other lines came tumbling in and changed the sequence, and other lines ended up being left out because they didn't fit in the sequence, ultimately, or because they didn't seem fresh to me. It's hard to write love poems because the tendency is to swoon, and it's hard to swoon in an original way. So I took my time with this poem; I wasn't in a hurry to finish it. I'd put it away for long periods of time and then come back to it and fiddle around with the metaphors and the sequence. I'm not convinced that I didn't leave out some good things, some of my favorite lines, but you reach a point at which it's time to leave the poem alone. The anaphora was there from the beginning—or rather, both of them were. I fiddled around with how often each anaphora was repeated, because I wanted the rhythm of repetition, but wanted to vary it, too. DL: You employ a catalog in this poem, a technique used elsewhere in Carpathia. What draws you to the catalog and how do you generate it? CW: I've read that the catalog, or list, is the oldest "form" of poetry, and that our earliest written documents are lists and catalogs. So maybe it's the most "natural" form of writing? To be honest, I write lists when I can't think of any other way to begin. I like the freedom that the catalog gives us to "leap" from one thing to another, to work by association and subvert our tendency to try to be rational and linear. And I always want to begin writing in a state of unknowing, a state of bewilderment, so that I can let the language itself lead me to some revelation, some discovery, something I hadn't known I knew or thought or felt. And using an anaphora, a repeated word or phrase at the beginning of each line, provides a kind of rhythm, and rhythm can become incantatory, and incantation leads us into another state of mind and being, a state of en-chant-ment, and thus allows for the possibility of magic. I'm always after magic, in poetry, and in love, too, I suppose. DL: This lovely poem is richly laced with metaphors. Tell us about "hair of nightingales," "his ink-stained tongue," and the stunning "his mouth the deepest flower to which / I have ever put my mouth." CW: Again, I was doing the exercise I'd assigned to my students in Paris, and the first step of the exercise was to gather a list of images from our surroundings, and then to gather a list of imagery associated with a particular beloved, and then to experiment with mixing them up. So the pigeons and balconies and sky and stairwell and rain and such were gathered from what I was seeing around me in Paris; the hair of nightingales and the ink-stained tongue and the deepest flower of that mouth were things that came to mind when I thought about the physical being of this dark and mysterious and very particular beloved. I think to write an honest and original love poem, it's best to try to be as specific as possible, while allowing the mystery of the "other" into the chemistry of the poem—not vagueness, but mystery. One of my writing mentors, Holly Prado, wrote a book of poems called Specific Mysteries, and I like to keep that phrase in mind when I'm trying to approach a poem. Bonus: Listen to Garrison Keillor read Fireflies, another of my favorite poems from Carpathia. Keillor featured this poem on August 8, 2009. Readers, wouldn't it be fun to try your hand at a blazon of your own? Cecilia Woloch used Breton as a model. How about using Woloch as your model? Think of someone or something you love. Brainstorm a catalog of metaphors praising different attributes of the beloved. Use anaphora. Then rearrange the lines. Feeling contrary today? Then how about an anti-blazon? Today I was informed that Blogalicious has been named one of the top 30 Poetry Blogs of 2009. This list is compiled by Online Colleges and Universities, an education database. I couldn't figure out what the connection was between the site and poetry blogs, but I clicked back to the home page and found that there's a link to this list under the heading "Student Resources." Now it makes sense. And the list is pretty impressive, so I'm pleased to be on it. Others that I'm familiar with include Ed Byrne's One Poet's Notes, Ted Kooser's American Life in Poetry (though strictly speaking this one isn't a blog), Read Write Poem, and Sandra Beasley's Chicks Dig Poetry. I'm going to check out the ones I'm not familiar with. In case you've been wondering, my downstairs room where I am now blogging away is free of fans and dehumidifiers. No mold. Furniture back in place. A few stains on the carpet but mostly behind chairs. Nothing to make me insane. More important, I've made my book cover choice. I love it and know it will look great. Last among my tidbits—I set up my spanking new wireless mouse today and I'm in love with it. So long annoying-forever-sticking scroll button. Hello slender, sleek, and speedy new mouse. I’ve noticed that many bloggers slow down blog activity at certain times of the year—semester break, spring vacation, holidays. It makes sense. Everyone needs a break. And readers also take a break from blog-reading, so there’s less motivation to blog. But I have a better excuse. On Sunday, December 27, I walked down the stairs to my finished basement. That’s my office space. All my poetry books are there. My beloved desktop is there. The printer. The treadmill. My life! As I approached the bottom step, I saw what appeared to be a shadow. It wasn’t. It was water. Lots of it. And it was spreading throughout the entire room. Sunday morning, a holiday weekend. But I quickly called the plumber who is married to my daughter’s best friend, and he said he’d come right over with a new pump. So within an hour that was in and sucking out water rapidly. Then we realized when we looked outside that that water was gushing like mad out of the wrong place. Turned out the underground drain was clogged, so the pump had been working non-stop and then died of exhaustion. Thus the flood. Pretty annoying since we’d just had the gutters cleaned and the guys were supposed to have checked the underground drains. Obviously, they didn’t. And then guess who gave me a hard time about coming to snake out the drains on Monday morning? But I put on my toughest demeanor and got them here. Would you believe they had the audacity to leave a bill? 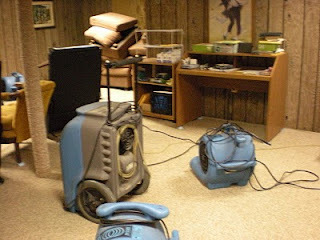 Anyhow, the flooding was way beyond our ability to deal with, so we called the “water mitigators.” A great crew of clean-up experts—Chem Dry in case you’re ever in need—and they arrived in good speed, got rid of the remaining water, set up 9 huge fans and 2 huge dehumidifiers. They had to pull up two sections of carpet to get fans under there, so the carpet was billowing. Those fans blew for 12 straight days, but the crew returned today, took out all the equipment, cleaned the carpet and disinfected it. I’ll be able to get back down there in a few hours. Then I will have a lot of cleaning up to do. But it’s a huge relief to have my room back. I’ve been on my laptop, but it’s not the same. And yes, I will be getting a backup for the pump. Speaking of water, you may recall that the title of my forthcoming book is Temptation by Water. I wonder if I somehow tempted water to enter my house? Right now I’m in the midst of choosing cover art—that is fun and exciting. My cover artist sent me two gorgeous pieces, both featuring water. My problem is that I love them both, so I’ve been vacillating, unable to make a decision. 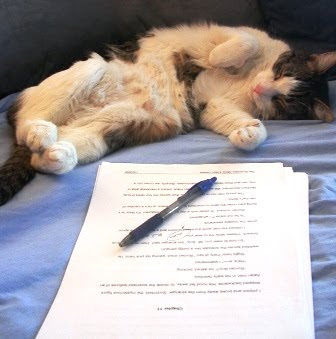 But decide I must and soon as I need to send off the final manuscript soon.